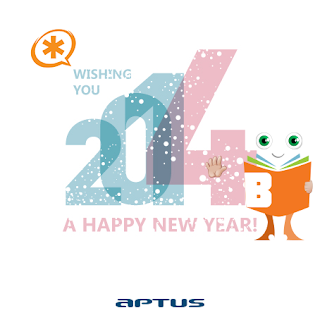 2013 was a great successful year for Aptus Telecom. We are equally excited as you are about what’s coming ahead of us in 2014 and looking forward to having great new experiences in the coming year. We would like to take this chance to thank all Asterisk Community for their support and overwhelming enthusiasm about our Asterisk Phonebook Solution (FonB). May 2013: We were Listed by 37Signals as part of their add-on products. June 2013: We presented the idea of introducing smartness to IP Phones that was highly appreciated by a vast number of the VoIP Industry. Our first FonB release was launched post the overwhelming early signups campaign. During the same month, we were blogged about by Digium regarding our Digium’s IP Phone App. We were guests to ‘VoIP Users Conference hangout session’ done by Randy Resnick where we were asked to demonstrate FonB for VoIP fans. August 2013: We wrote a blog about our coming soon FonB Mobile Server & App. September 2013: We announced our pricing structure along with our special ‘free for 5 users’ license. November 2013: We published our latest release 1.0.5 along with the Localization support. FonB fontend was also opened and pushed on Github for general public within the same month. December 2013: The last month of the year, was marked by us with a great 15% discount along with 5% further donation to the victims of Typhoon Haiyan in Philippines. In a nutshell, year 2013 was a tremendous year exceeding all our expectations. Maintaining the continuity, we’re committed to deliver even better in the upcoming year 2014. The coming plans include some innovative feature requests implementation from our clients, releasing the installations script to make our installation further easier, developing GUI Modules for FreePBX, Elastic and other Asterisk distros, preparing a Virtual Machine Appliance based on FonB and definitely, our long awaited FonB Mobile. Our New Year Resolution is to further polish our product so that it becomes simpler, easier, and better for our great users. Finally, we wish you Merry Holiday Season, a happy New Year, and the best of luck in the upcoming 2014.